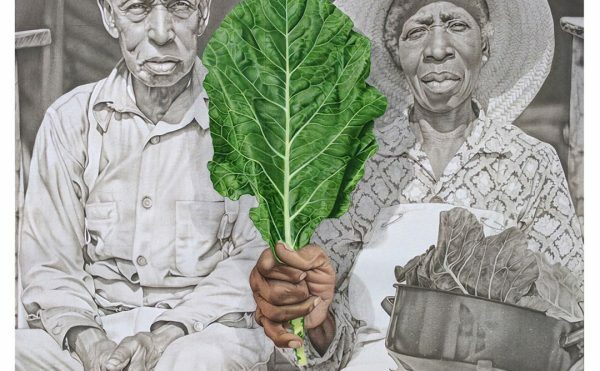 A subterranean reservoir in Houston, Texas, once slated for demolition is being reimagined as an unconventional art space. 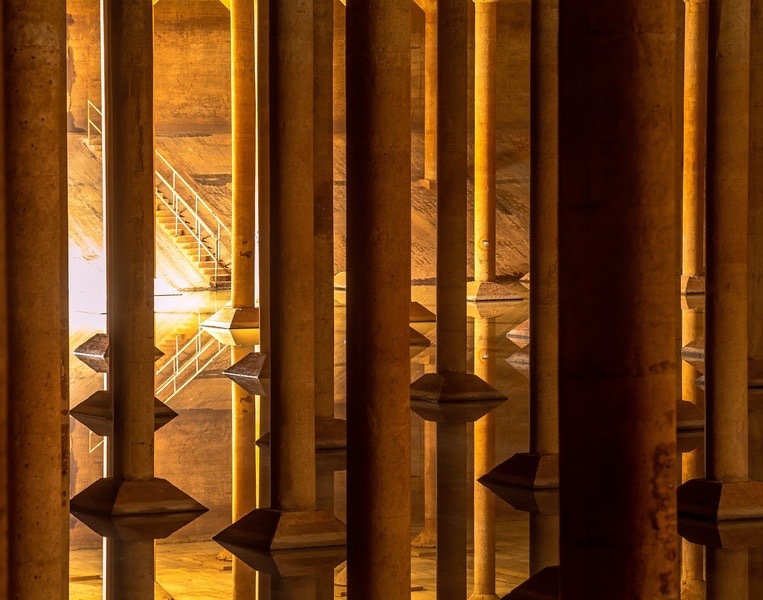 The Buffalo Bayou Park Cistern is a 1920s water reservoir measuring 87,500 square feet with 221 concrete columns, its stunning structure drawing comparisons to the more famous Basilica Cistern in Istanbul. After it started to leak in the 1970s, the reservoir was drained and, in 2007, decommissioned; by 2010 the City of Houston was planning its destruction. 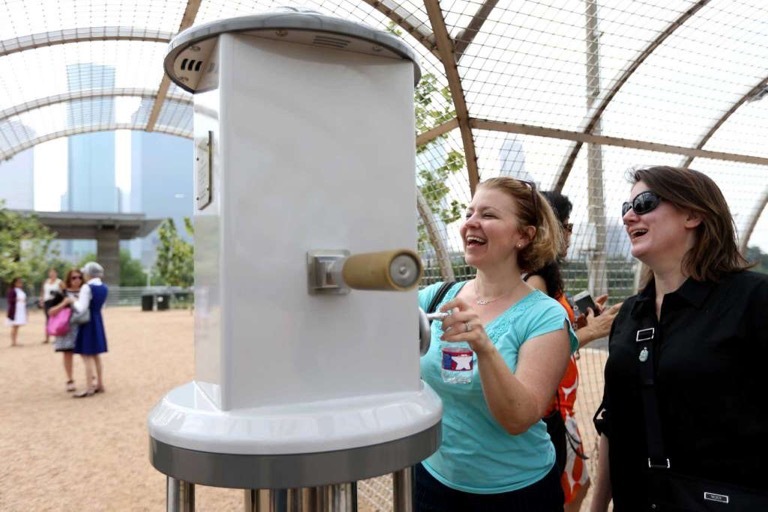 However, the Buffalo Bayou Partnership, in their redevelopment of the above-ground area into the Buffalo Bayou Park, saw its potential as a public resource. This month, Kriston Capps at CityLab reported that the Houston Arts Alliance (HAA) is launching a series of sound and light projects in the cistern in January of 2017, aiming to cycle in new pieces every six months. The acoustics of the space, with its 17-second echo, make it especially compelling for sonic experiments. 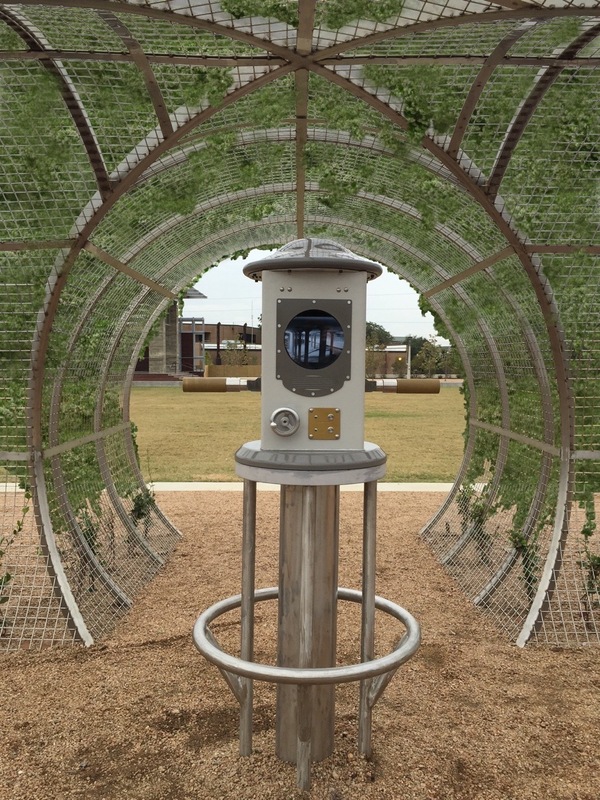 The first artwork to interact with the cistern is actually on the surface, with Donald Lipski’s “Down Periscope.” The permanent piece was commissioned by HAA with the City of Houston Department of Public Works and Engineering. Situated beneath a stainless steel arbor over which jasmine will soon grow, the periscope allows visitors to look down into the dark realm of the cistern. And for those far from the Texas city, “Down Periscope” can also be controlled online for five-minute intervals. 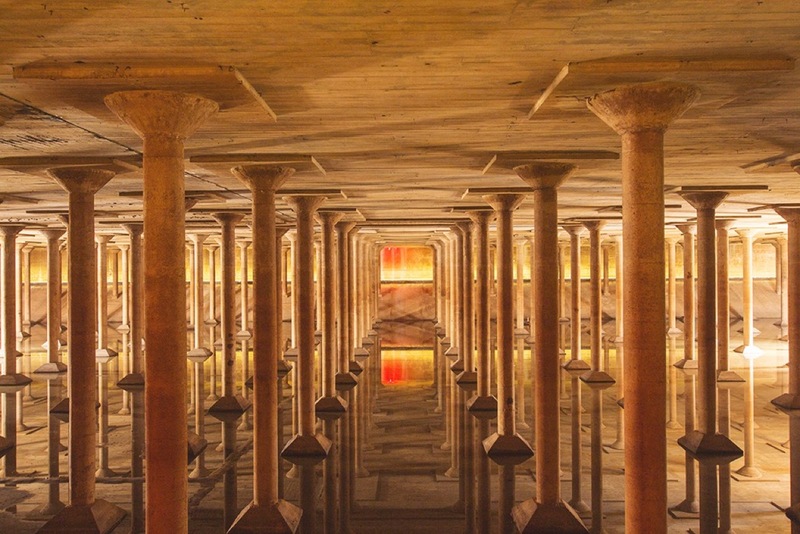 Since this May, the public has been able to sign up for weekly $2 ticketed tours of the cistern. When Lipski first descended into the cistern, he did so “through a hatch, down a vertical ladder”; a grant from the Brown Foundation has allowed for new guard rails around a walkway and a more accessible entrance, although all the renovations have protected the low light and historic atmosphere of the cavernous room. While viewing the chamber in its murky light through the online periscope isn’t quite like being there, it is a creative way to engage people around the world with an unexpected place. 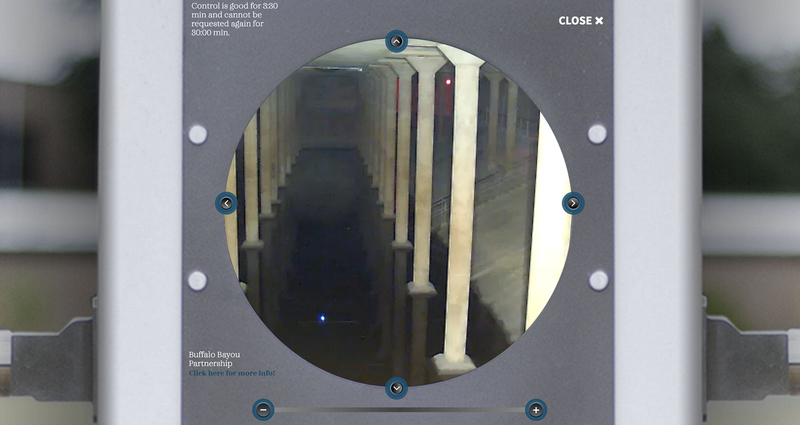 Navigating 360 degrees from the looming columns to the reflective floor, it’s an opportunity for anyone to experience some of the wonder of the cistern’s rediscovery. “Down Periscope” by Donald Lipski is in Buffalo Bayou Park (105 Sabine Street, Houston, Texas). 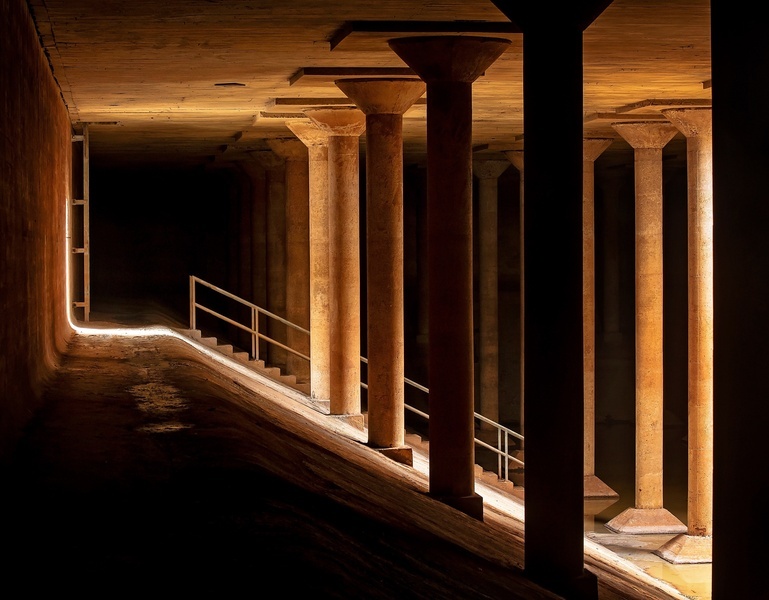 Tours of the Buffalo Bayou Park Cistern are Thursday to Sunday and must be booked in advance online.